Google's Gmail turned 15 on April 1, 2019. 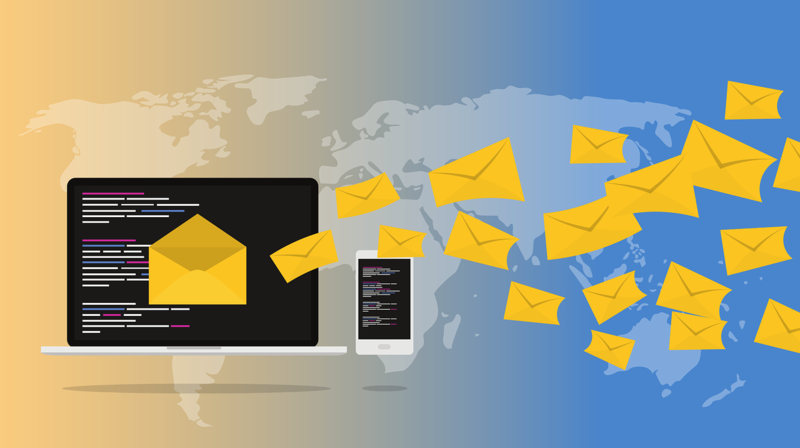 The web-based email service now boasts 1.5 billion users and laid the groundwork for G Suite, the cloud-based set of productivity and collaboration products aimed at the enterprise. The company is still playing catch-up to Amazon and Microsoft in the cloud arena. It's also playing catch-up in terms of email features. Microsoft's Outlook has let users complete task workflow within email since 2016, while Google is only now adding features that let people RSVP to events or book hotel rooms through email. Similarly, Outlook has allowed users to schedule emails since at least 2017; this feature is only now coming to Gmail. To be fair, Outlook is for paying customers and Gmail remains free. The success of Gmail did more than create a useful and popular product. Gmail forever changed Google's trajectory. It was the first service to demonstrate to the company that Google could dominate something beyond search. Gmail set Google on a course to touch every part of our online lives. And it's given millions of people an understanding of the benefits of cloud-based services — even if nobody was using the term 15 years ago, the idea of separating software services from local servers took root as people warmed to the convenience of being able to log into their email from any Web browser anywhere. It was not hard for IT professionals and developers to start asking what else could move off a company's infrastructure. The OMP provides a single open platform architecture that liberates data from legacy industrial assets, standardizes data models for more efficient data correlation, and most importantly, enables manufacturers to share their data with ecosystem partners in a controlled and secure way, allowing others to benefit from their insights. With pre-built industrial use cases and reference designs, community members will work together to address common industrial challenges while maintaining ownership over their own data. AWS is opening its sixth cloud infrastructure in Latin America, this one in Bogotá, Colombia. By comparison, Microsoft has one Azure datacenter in South America. Microsoft is teaming up with OpenClassrooms, a massive open online course (MOOC) platform, to train and recruit students to learn more about AI. OpenClassrooms will construct programs based on Microsoft’s content and project-specific tasks. xMatters Incident Management Tool Adds Stackdriver Integration 2019-04-07 07:16:00xMatters' integration with Google Cloud Stackdriver automates incident management for DevOps. Fertility Database Relies on Blockchain for Security 2019-04-05 15:37:00FRTYL is trying to put families' minds at ease through the use of blockchain for security. Hannover Messe Provides Preview of Industrial AR’s Promise 2019-04-05 11:32:00Augmented reality was a star of Hannover Messe. But adoption of industrial AR will likely be first limited to defined use cases. The best Sky TV deals, packages and Sky 2019-04-09 07:06:22Save money on the latest Sky packages as we examine the latest deals including Sky Q boxes. Amazon has slashed prices on Samsung Note 8 2019-04-09 07:01:24Get a superb SIM-free Samsung this spring - we've never seen Note 9 deals as cheap as they are now at Amazon. AMD Ryzen CPUs continue to dominate Intel chips, 2019-04-09 06:53:58AMD actually holds an almost 70% processor market share, going by the figures from one retailer. Revolutionary Algorithmic Lace bra wins the 2019 Lexus 2019-04-09 06:46:23Other finalists include a device for harvesting waste energy from jet engines, and a material made from desert sand. Why you need to make the right call 2019-04-09 06:30:22Aptean's James Wood explains that although call centres have a bad reputation among customers, it doesn't have to be that way. The Honor 20 Lite could have three rear 2019-04-09 06:28:10A report about the Honor 20 Lite suggests it could have cameras that are almost as good as the Huawei P30's. The 10 best DSLRs you can buy in 2019-04-09 06:13:26Buying a DSLR can be a daunting task, but you'll be on the way to choosing the right camera with our expert guide. CorelDRAW Graphics Suite 2019 offers hobbyists and professionals 2019-04-09 06:06:48A great image editing suite for hobbyists and pros alike. Microsoft opens a plugin store for the new 2019-04-09 06:06:41The new store already has 118 extensions available to download, and many more are likely to arrive soon. The 10 best mirrorless cameras in 2019 2019-04-09 06:04:12Coming in all shapes and sizes, our expert guide will help you choose the best mirrorless camera for you. The 10 best 4K cameras in UAE for 2019-04-09 05:57:16Looking for a camera that's just as at home shooting 4K video as it is stills? Here are our picks to suit a range of budgets.